Hey, everyone! It’s time for a brand new Color Throwdown Challenge! This week Wanda is our hostess and she’s challenging us to a warm color palette based on her gorgeous inspiration piece. I decided the best way I could use these colors was to do an ombre’ sponged panel and cut it—and some Black Licorice card stock, with Bold Beautiful Die-namics. I sponged on Strathmore Bristol Smooth paper and then inserted the pieces into the black die cut, taped the entire back, and popped it up on foam tape on a Sweet Tooth card stock base. 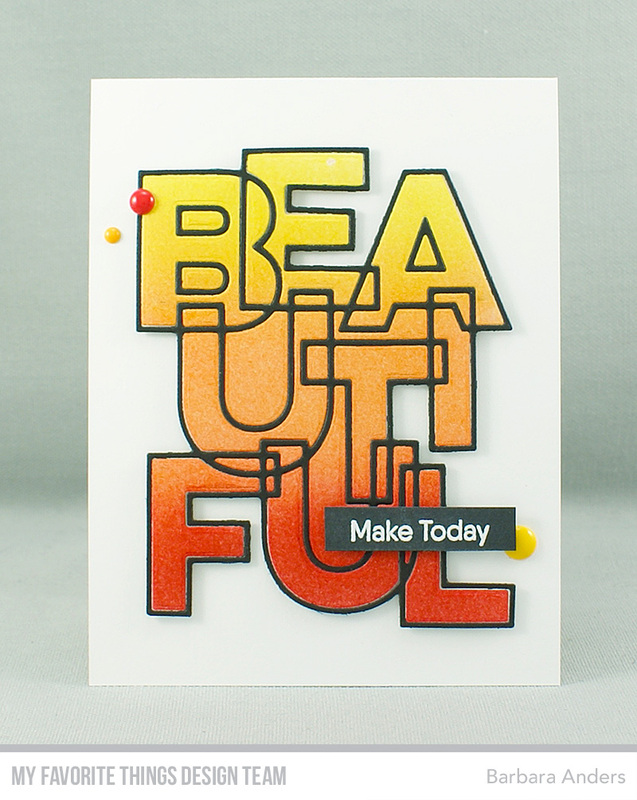 Then I heat embossed the sentiment from Hello, Beautiful Stamp Set and popped it up on foam tape as well. To finish off I added some matching enamel dots. And that's it from me! Remember, you do not have to have the exact colors to play the Color Throwdown Challenge. If you don't, just use the closest you have. 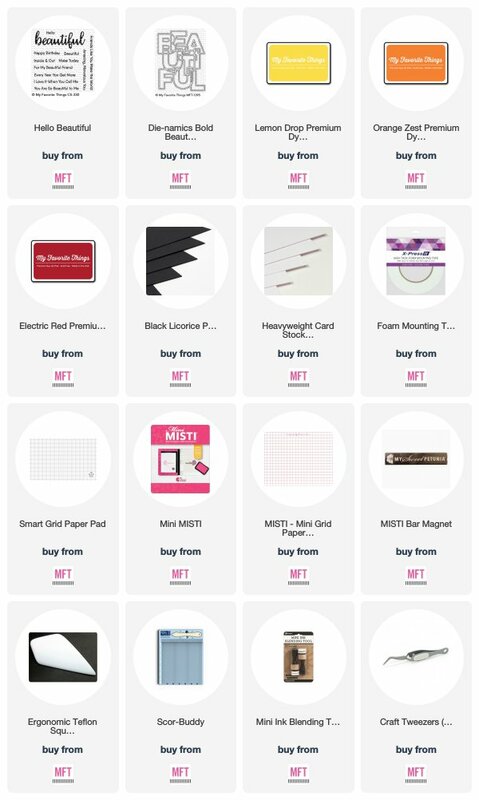 So c'mon over to the Color Throwdown Blog and play along with us this week. Please use the link service to post your card and please link directly to your card so we can find it easily. And please provide a link in your post to the Color Throwdown. 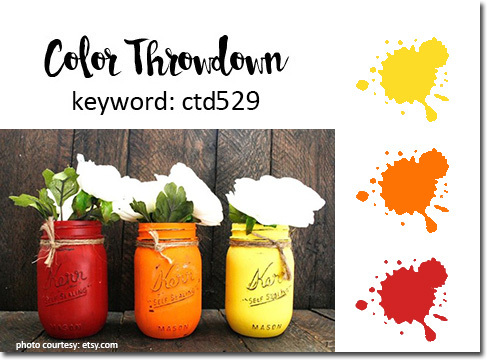 If you upload your card to a public forum, please use the keyword CTD529 so we can see your beauty all in one place, and use #ctd529 and #colorthrowdown on social media. Hope to see you there! Be sure to check out what the other team members have come up with this week, along with our super talented Guest Designer, Leigh O’Brien! I love the bold word & sentiment. 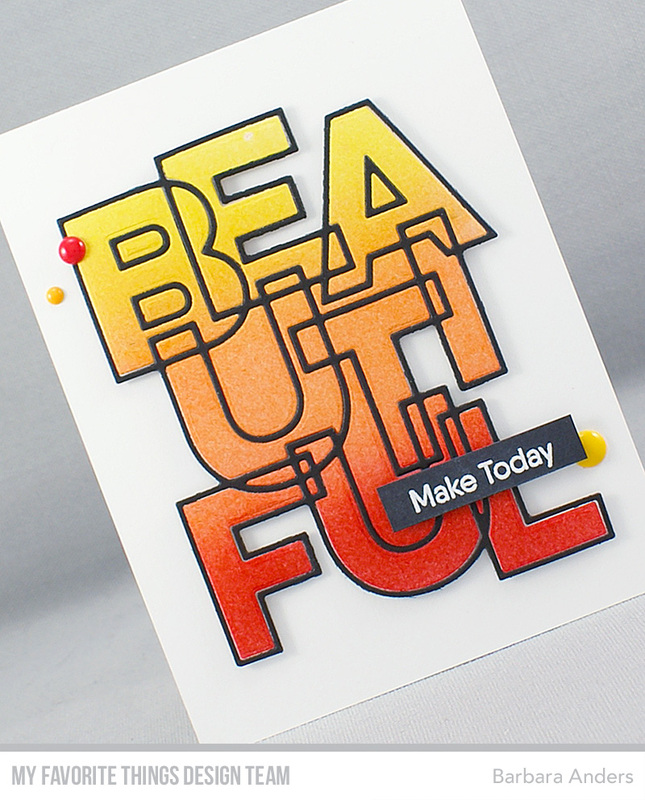 This would be a nice piece to hang on a creative gallery wall as a reminder to find the beauty in every day! Love it!